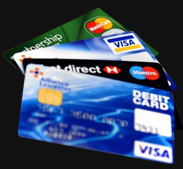 YOU CAN RESTORE YOUR CREDIT FOR GOOD AND WE WILL ASSIST YOU ON THAT JOURNEY. CreditBuilderz wants to help you rebuild your credit in the shortest, easiest, and most affordable way possible. The Federal Trade Commission clearly outlines the rules of credit and credit reporting. They are the regulating body for Credit Help Companies as well as the 3 Credit Bureaus. We are a Credit Help and Debt Arbitration Firm that operates itself within the strict laws defined under Title IV of the Consumer Credit Protection Act. Providing top dollar service should be each and every credit assistance company's agenda. Here at CreditBuilderz, achieving our goals for every client is how we have remained in business all this time, as we do not advertise. We depend on clients and companies to refer us to whomever needs our help and we Always offer a Money Back Guarantee on all our work. We've been assisting people in gaining their credit freedom for over 10 years. We began helping clients with rebuilding credit in November 2007 and we will be here when you need us .We also have been an A rated member of the Better Business Bureau since January 1, 2009. Our staff is involved in vigorous training on knowledge of the inner workings of your credit profile, as well as the laws determining appropriate approach to credit redemption. We use the FCRA (Fair Credit Reporting Act) and the FDCPA (Fair Debt Collection Practices Act), along with other tools to assist every client in achieving their best outcome..
CreditBuilderz uses our own proprietary web-based platform to utilize advanced methods of client and credit bureau communication processes. Our programming staff works hard to continually improve the quality of products, as well as the overall experience that our clients receive while working with CreditBuilderz. Once you complete the CreditBuilderz credit assistance program, we invite you to take advantage of our community business connections, to begin using your new credit. Go ahead; your credit deserves a second chance. ©2019 Creditbuilderz.com. All Rights Reserved.